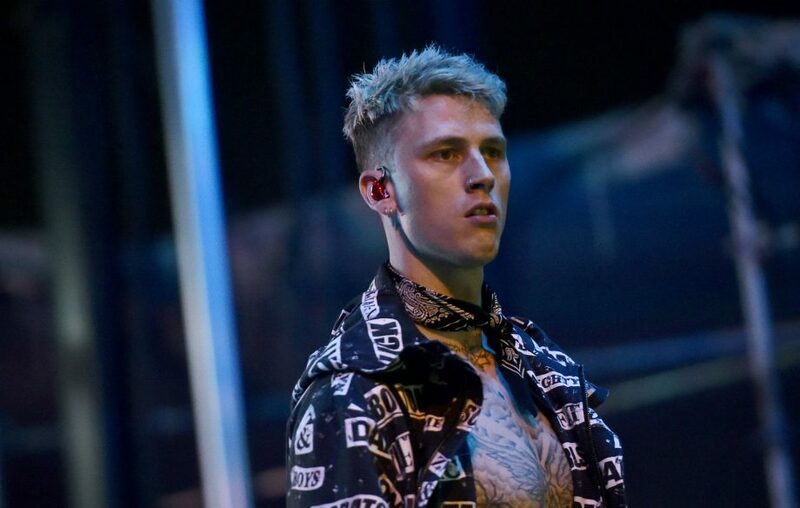 Seemingly capitalizing off of the many new eyes on him in the wake of his feud with Eminem, Midwestern rapper Machine Gun Kelly drops a 9-track EP that includes the now-massive diss track “RAP DEVIL”. Once a prominent force in the indie rap scene, Kelly’s 2017 pop-rap collaboration with Camila Cabello, “Bad Things”, exposed him to a much wider audience. While he certainly skews more hip-hop heavy on this EP, it still pales in comparison to a lot of his early work, especially from a lyrical standpoint. Kelly has seemingly diluted himself into a much more marketable, palatable figure, and while there are still some brief moments here where we’re reminded of what he can do from a technical standpoint, it’s telling that “RAP DEVIL” is one of the best tracks here, and Kelly didn’t even win the battle. The project only runs 24 minutes in length, likely demonstrating just how quickly this thing was thrown together – a lot of these tracks end before really reaching anywhere concrete. After a pretty awful Auto-Tuned warble for a minute-long intro, the project properly starts with the track “LOCO”. The track immediately drops into a droning extended bass note and trap beat, Kelly’s higher-pitched, exuberant voice sounding out of place on the instrumental while he delivers some particularly blunt and cringeworthy punchlines. I honestly used to be a pretty big fan of Kelly’s 5 or so years ago, and to hear him resort to a modified Migos flow on the chorus and a couple repeated ‘yeah hoe’s is a significant fall from grace into lazy mediocrity. He gets a little sharper and more animated on the next track “GTS”, which features a pretty fun electronic woodwind noise on the instrumental and a blistering 2nd verse where Kelly gets angrier, but it’s counteracted by his delivery on the chorus and the strange background layering of a sung note during what would otherwise be one of the more impressive technical moments here. There are so many tracks here that are almost there and some aspect of them just throws the whole thing into disorder, which I suppose is representative of a guy with some real talent who has lost his way on the way to superstardom. Short (under 2-minute!) track “NYLON” starts promisingly with a few quotable bars and Kelly finally switching up his flow to ride over a half-time, nicely minimal acoustic trap loop, but the awkward layering (which I take is meant to make him sound tough…?) comes back in and the track is cut off abruptly with some heavy Auto-Tune and a skrrrrt. “LATELY” and the 24hrs-featuring “SIGNS” are two more lifeless trap cuts that I suppose act as filler on an EP that doesn’t even hit the 30-minute mark. 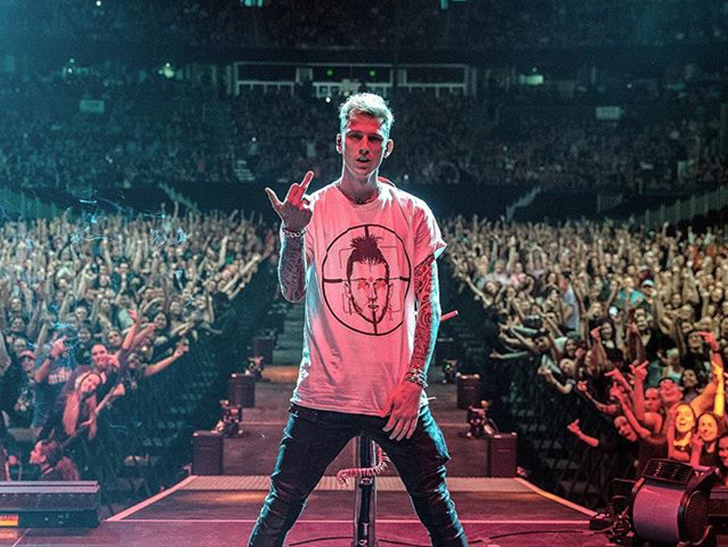 It’s not like Kelly isn’t capable though: the excellent Eminem track “Killshot” aside, I honestly think “RAP DEVIL” is a very solid diss track with some creative displays of wordplay and battle raps obviously inspired by the very target of the song. It’s significantly longer than anything here and for Kelly to keep up his spirited jabs for almost 5 minutes without much material to go off of is very impressive. Eminem said it himself, Kelly does intersperse a few compliments towards him here and its tough for him to hide just how much of his inspiration he does take from Mathers – this track is the most obvious example. “GET THE BROOM” is the really the only other enjoyable track here, featuring a fantastic dark electronic piano instrumental that’s the only one that truly fits Kelly’s attempts at malice here. He alternates from a calmer tone to a louder yell as the track goes on – it sounds like a more spastic Blocboy JB song. This review is shorter than usual since there’s so little of substance to even write about here. The BINGE EP is so blatantly a quick cash grab for the rapper looking to extend his cultural relevance past a pop hit that most people associate with the feature. Maybe a removal from the public eye is what it’d take for him to stop chasing trends and return to the technical showcases and fire in his voice that he showcased in the past. Rap superstar Nicki Minaj continues to adapt and thrive, dropping her most rap-heavy album yet, Queen. Her fourth full-length project, we see Minaj raising her defenses a bit and reverting back to her classic hip-hop tactics of biting lyricism and an always surprisingly technically proficient flow. In a world quickly becoming more accommodating to the presence of more than one wildly successful female rapper (there are 4 of them in the Billboard Top 5 at the time of this posting), Minaj reminds us why she was regarded as such a powerful force to begin with. Despite the messy rollout that accompanied the project, the best tracks here are equal parts infectiously energetic and unflinchingly tough, the two sides that have always made up her appealing persona. At 19 tracks, not everything comes together and there’s certainly some filler and material that sounds slightly dated, but the highs are fantastic. The album opens with “Ganja Burns”, a fantastic track that places the listener in the world of the album immediately. Drawing slightly from the dancehall wave that Drake kicked off, Minaj drops a deep-voiced speedy flow that navigates through the prominent, clicking percussion perfectly and immediately sends a shot at Cardi B 30 seconds in. Her dramatic singing on the chorus adapts to the hazy acoustic guitar loop, reminding us that pop Nicki isn’t gone either – just before she starts completely annihilating her foes, as she hits us with the one-two punch of “Majesty” and “Barbie Dreams”. The former features none other than Eminem, who delivers his greatest feature verse in years, Minaj keeping up with him over the menacing siren of a low, buzzing synth – an upbeat piano chorus from Labrinth tries to interject before she cuts him off midway with more vitriol. This doesn’t compare to her coming for THE ENTIRE INDUSTRY on the next track, set to the classic instrumental of Biggie’s “Dreams” as she sends some comical, absolutely savage shots at almost every relevant rapper, outlining the reasons why none of them will see her in the bedroom – it really establishes herself as more of a classic hip-hop figure than we anticipate, and her lyricism and delivery is top notch here. “Chun-Li” still holds up as well, a track that perfectly plays into her over-the-top, cartoonish nature – Minaj embraces the cheese to full extent, and it works. Minaj succeeds at some of her rarer forays into pop territory here as well – the Ariana Grande-featuring “Bed” is a serviceably catchy, chill tropical pop song featuring production from Actual Reggae/Dancehall Artist Supa Dups, but “Come See About Me” really stands out. A legitimately heartfelt piano ballad, I’ve never heard Minaj’s singing this passionate, her vibrato hitting in just the right places before building up to a powerful, harmonized chorus. The album definitely sags in the middle, quite a few of these tracks lacking the direction and energy that Minaj needs to excel – at the end of the day, most of her appeal really does come down to that expressive delivery. “Thought I Knew You”, a track with The Weeknd, doesn’t seem to know what exactly it wants to be, Minaj and Abel trading brief sections of awkwardly varying lengths, his sing-rap style not fitting at all with the poppier instrumental here – and Minaj’s stuttered chorus sounds pretty low-effort as well. “Chun Swae” extends to 6 minutes in length, Swae Lee’s lilting high-pitched delivery getting grating – though there really are some great elements of the track – that first verse is seriously technically impressive, Minaj extending a rhyme scheme to ridiculous length and then dropping into her fastest flow on the project. The features do let her down on more than one occasion here, Future delivering what might just be his worst verse of all time on paint by numbers trap cut “Sir”. 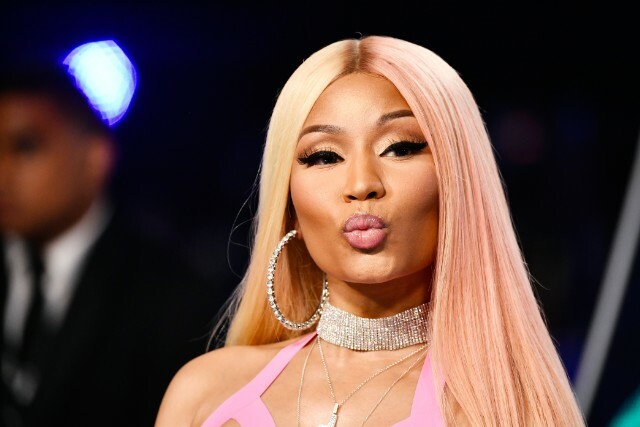 It’s a shame that Minaj herself seems to be playing into the idea that there can only be one female rapper at the top of the game here with some of her lyrical references, since it makes a few of these tracks feel like she’s going through the motions to reassert herself in a variety of areas, and the last thing she can afford to lose is the amount of fun it always seems like she’s having. Her last-minute addition of 6ix9ine hit “FEFE” to the end of the tracklist is a move of an artist undoubtedly more interested in her numbers than her music – it shouldn’t matter if she gets this #1, and she really might not – this rap-centric album was an opportunity to prove herself through her talent more than her brand, and the segments where she does this more than she has in years are the parts that stand out. Tracks like “LLC” and “Good Form” stand out in the middle for being upbeat, characteristically quirky and off-kilter, dynamic and technically proficient. Ultimately, Queen is a mixed bag that might possess both some of Minaj’s best and worst tracks of her career, with slightly more of the former. After seeing her take more of the pop direction over the last few years, her reminder to us all that she’s much more of a rapper than many give her credit for was certainly very welcome, but she might have lost a bit of the spark trying to do too much here. Apologies for being gone for so long – I’ve been writing my graduating thesis for university but now I’ll be able to get this page back up and running like normal. There’s some albums here that are long overdue for a review so to catch back up I’m going to make a few posts with rapid-fire thoughts on some of these albums from October! 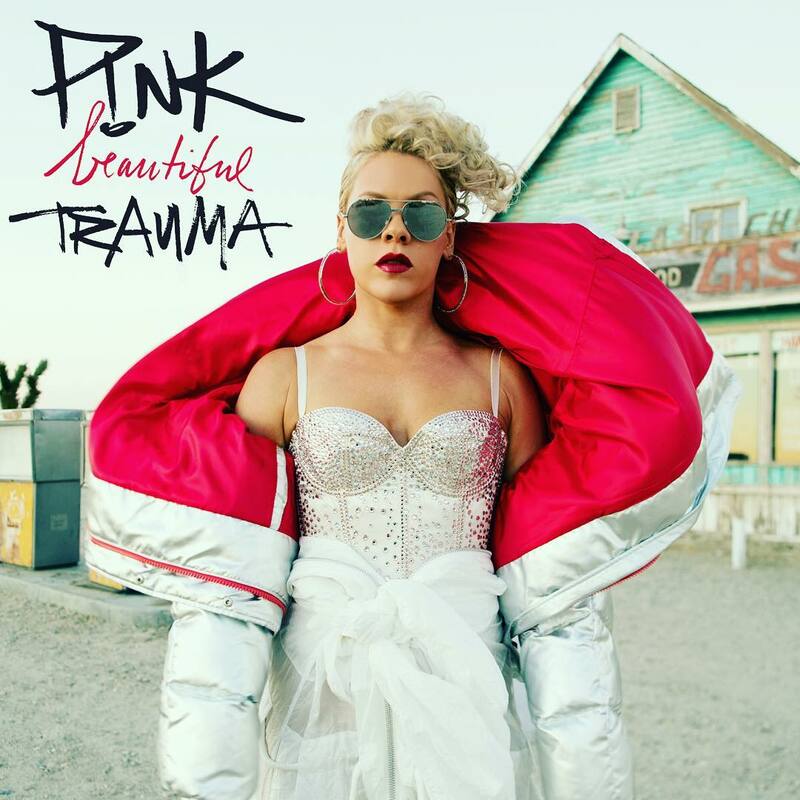 Pink recruits some all-star collaborators for her 7th studio album, and while they frequently make their presence felt in some great and emotional musical moments, the majority of Beautiful Trauma is incredibly safe. The project alternates between a familiar mix of soaring pop ballads that exhibit Pink’s gargantuan vocals and upbeat forays into electropop that come across as well worn-out. The outlier might be “Revenge”, a quirkier track where Pink dreams of taking revenge on her ex with some painfully awkward rap lines and delivery before Eminem swoops in with a hilarious and cringe-embracing verse in the way only he can, reframing the entire track as a goofy joke to be enjoyed. In addition to the rap superstar, Pink brings in some of the biggest names in pop music in Max Martin, Greg Kurstin, Jack Antonoff and Julia Michaels. The latter two do the best work here, Michaels applying some of her trademark heartbreaking lyrics to emotional tracks “Barbies” and “For Now” and Antonoff producing the best track here in “Better Life” where we get some great harmonies over an energetic beat and subdued, jazzy piano chords and finger snaps – despite his inexplicable decisions on the title track, which contains 2 abrupt shifts in energy that fall flat. Pink is undoubtedly a vocal powerhouse capable of conveying the emotion behind these huge pop ballads and she frequently impresses across the course of the album, but when she insists on reaching into the highest part of her register it can get annoyingly shouty – especially on closing track “You Get My Love”. Overall, Beautiful Trauma has some really great highs but is frequently too derivative to be memorable. Former OneDirection member Niall Horan continues the surprising trend of his bandmates releasing much better music than they ever did while part of the collective. As each member seemingly diverts to a different genre of music, Horan adopts the acoustic singer/songwriter angle and delivers an album of powerful pop ballads. While it may be very easy to compare him to Ed Sheeran, as he sticks to the formula the superstar adopted, Horan’s calming vocals and assistance he got from Greg Kurstin on this project ensured a solid debut. We open with the maddeningly catchy “On the Loose”, built around a pounding beat and a pleasant sliding guitar pattern as Horan’s vocals cascade on top of each other into the chorus. These are some smartly written pop tracks – and Horan has primary credit on every one of them. Even some tracks, like single “This Town”, fall into a repetitive and unexciting territory in terms of the instrumental, Horan’s vocals are more than enough to carry these tracks. Subdued and emotional, he puts his heart into every word and truly delivers the emotion of these romance-oriented tracks. While we all know “Slow Hands” by now, the single truly took me by surprise. He sounds absolutely effortless on the track, and the underlying bassline groove distinguishes it from the rest of the album and sends the track over the top. Other highlights include a nicely harmonized duet with country singer Maren Morris on “Seeing Blind” and Kurstin’s “Since We’re Alone”. As we get closer to the end of the album, the tracks definitely do begin to blend together a bit. The Sheeran influence is worn on Horan’s sleeve, and the slower acoustic ballads that close out the album are similar enough to get a little sleepy. Still, Flicker is easily the most consistent post-1D album yet. Detroit rapper, G.O.O.D. 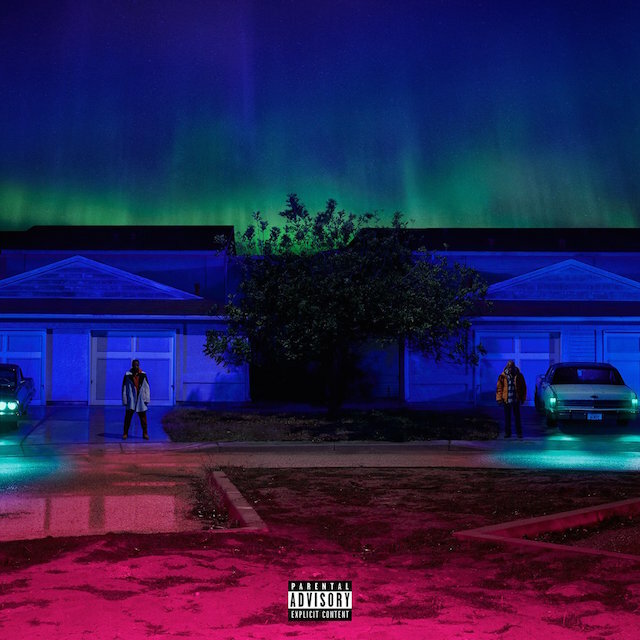 Music artist and Kanye West protege Big Sean’s fourth studio album continues to showcase his remarkable consistency, always delivering a decent project despite not taking as many creative risks as many of his peers. More trap-influenced than its predecessors and reflecting the rapidly rising popular sound of today, I Decided. has been described by Sean as a concept album. The cover art depicts Sean standing beside an older version of himself, a theme which becomes clear as the older, alternate universe version of Sean speaks in interludes throughout the album. This character regrets not living life to the fullest, working the same job and going through the same routine for 45 years and imploring listeners to live in the moment. Many of the album’s tracks reflect this theme as the Sean we know describes his lifestyle, and many of them manage to come across very energetic and fun, if less than original. Sean has some pretty interesting and unexpected features here, as well as some familiar faces in production that help him transition to the hi-hats and 808 bass of today’s day and age. 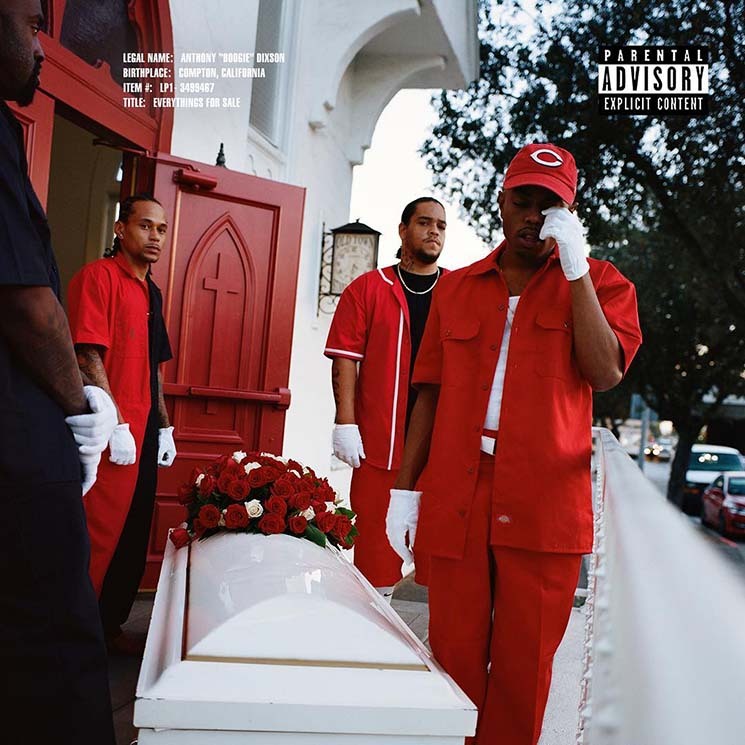 While the majority is handled by Sean’s relatively unknown touring keyboardist Amaire Johnson, he is assisted by an all-star team of rap producers including Key Wane, DJ Mustard, DJ Dahi, Metro Boomin, who has 3 great beats on here, and 20 year old Wondagurl, who broke through at the age of 16 on Jay-Z’s “Crown”. Complementing Sean on the mic, we have none other than the pride of his hometown Eminem, who flexes his lyrical muscles but ultimately delivers an uncharacteristically off-kilter and awkward verse, “Bad And Boujee” rappers Migos, who join Sean on “Sacrifices”, injecting him with their energy for a punishing track, and girlfriend Jhene Aiko, who drop a brief promotion for their collaborative project Twenty88’s upcoming sophomore album with “Same Time Pt. 1”, Part 2 nowhere to be found. Jeremih and The-Dream also deliver on their respective R&B choruses, rounding out an impressive roster. Sean’s flow is one of the most unique in the rap game, showcasing rapid irregular flows on songs like “Bounce Back” or going for stretches at a time where he continues to act like he’s deftly filling in the empty spaces on a huge and complex beat that isn’t actually there – the song “Light” has no percussion at all, for example. 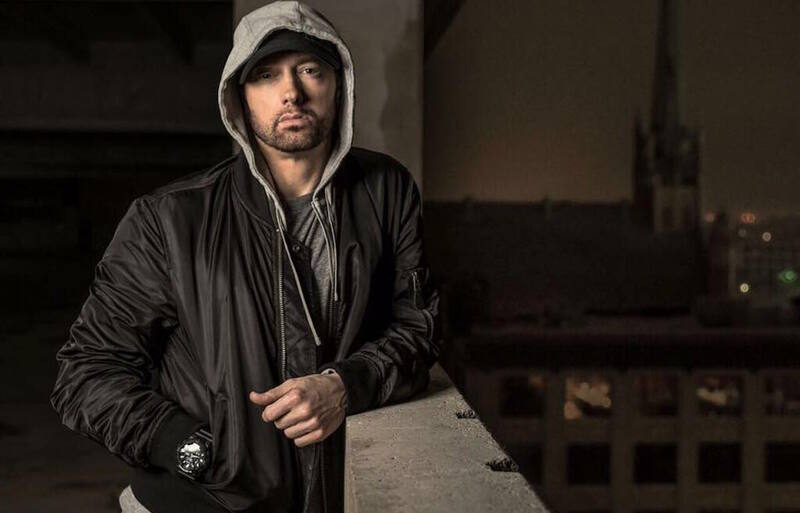 Lyricism has always been one of Sean’s strong suits and there are no shortage of clever bars and wordplay here – although I’m not sure many can top wordplay king Eminem’s now suddenly topical “I may be deserving of a pat on the back like a Patriots jersey”. Some of my favourites: “I’m the one at the end like I count backwards”, “‘Ye found a pro, I guess I’m profound”. At the same time that Sean can sound somewhat detached and disinterested, he resembles someone like J. Cole in his ability to use his voice to draw you in to what he’s saying, his raps sounding like he’s having a casual conversation with you. When he goes into storytelling mode, like on “Owe Me”, an account of his breakup with Ariana Grande, and the soulful “Sunday Morning Jetpack”, where he speaks about his faith, it’s compelling. Even so, sometimes it isn’t enough to distract from the fact that his delivery can be quite flat and monotone at times. On lower-key tracks like “Light” and “Inspire Me”, this can make the track a lot sleepier than it needs to be and it wouldn’t hurt to add some variation in his tone. Perhaps my biggest criticism with the album is one that spans his entire career – Sean really can’t sing and does on far too many tracks here. When it’s contrasted with Jhene Aiko’s voice it sounds slightly better, frequently bringing the best out of him as demonstrated on their fantastic interlude here. However, dedicating most of a track like “Jump Out The Window” to his mediocre and frequently off-key singing voice can really ruin a song that otherwise could have been great as it features a sonically unique Key Wane beat. For all of his efforts, Sean doesn’t really present anything new here, nor has he ever. 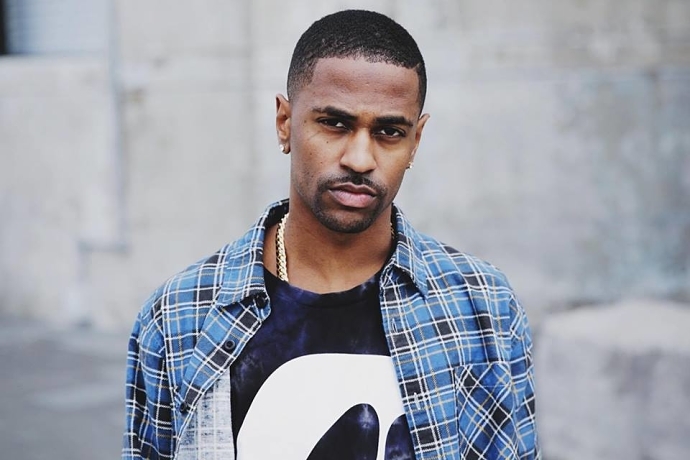 His biggest hit, 2014’s “I Dont F*** With You”, was the closest he’s come to making something that is uniquely Big Sean, infusing it with his personality, but outside of maybe “Moves”, which is a bit too Drake-y, nothing comes close to matching that here. I wish he took more risks like he does on “Voices In My Head/Stick To The Plan”, which features a completely innovative song structure that switches back and forth between the two motifs, increases and decreases the tempo, and just so happens to have the best beat on the entire album – thanks again, Metro Boomin. Despite all of this, it is hard to argue against Sean’s growth from 2011’s Finally Famous to today. Always a bit behind the curve but delivering when he eventually gets there, Sean as a personality is engaging enough to continue to keep me interested in his albums. When he rises above the average content that he settles for to fill up about half of each album, he shows brief glimpses of the star power I’m sure he can eventually reach considering his incredible work ethic. Skylar Grey’s sophomore effort comes 3 years after 2013’s Don’t Look Down, and while it certainly raises the bar in terms of creativity, ultimately suffers from the same issues of inconsistency which persisted on her debut. It is a confounding and eclectic mix of sounds in the same way, and while some of these sounds utilize her ethereal voice in a perfect way, other times it falls flat. All in all however, this is certainly a step up. It feels less geared at the pop audience, as the last project was filled with unnecessary features and bland songwriting. Grey seems to have embraced her status as a more prominent force in the indie scene, as many of these songs are slower and aimed more towards a singer/songwriter vibe. The main element which ties together these diverse songs seems to be an emphasis on layered vocals and harmony, and interesting and inspired choice for Grey’s singing style which works very well for the most part. It isn’t that Grey excels in one style over the others: hard-hitting and dramatic track “Kill For You” and stripped-down and vulnerable ballad “Moving Mountains” are equally brilliant, and having confusingly lacklustre cousins with similar sounds — perhaps “Straight Shooter’ and “In My Garden”, respectively. It seems like the process of cutting down the album might be difficult. Unlike Don’t Look Down, however, this album truly does have many more incredible moments than it does misfires. Production is a major strength on this album, and working with a more focused and cohesive group of individuals for the entire duration of the creative process helped in a major way. 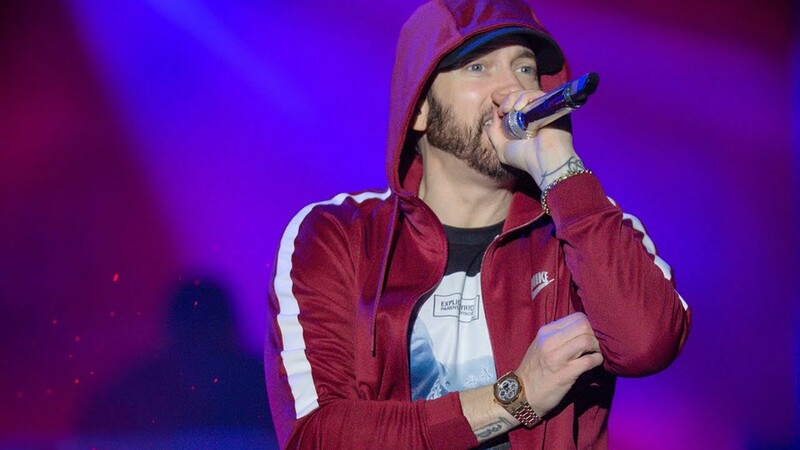 All producers and writers on this project have been heavily involved with Eminem in some way in the past, which is moderately surprising considering Grey’s genre — even if she has served as a perfect complement to many of the rapper’s songs over the years. Even with all these distinguished producers, the album’s production MVP might just be Slim Shady himself. He has writing and production credits on the back to back standout songs “Kill For You” and “Come Up For Air”, and while both songs reside comfortably in Grey’s regime of slower-tempo tracks, each is heavily anchored by a massive live drumbeat, intersecting with Grey’s backing vocals and the minimalist production perfectly. 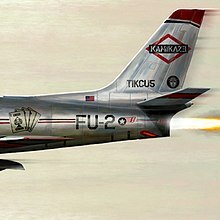 While Eminem’s verse on “Kill For You” is still great, although less spectacular than we know he is capable of, “Come Up For Air” is a true masterpiece. Grey’s voice soars, and backed by a choir comprised by her own voice, the song is one of the most strikingly beautiful of the year. The theme of minimalism is quite prominent throughout Natural Causes, and it works because Grey’s voice is enough to carry a track on its own. The acoustic and beautifully written ballad “Moving Mountains” is a perfect example. Grey’s voice is full of emotion as she implores us to put aside the ambitious part of ourselves that always wants to change the world and enjoy the moment we are living in. Compared to some of the sleepier ballads like “Closer”, the message of this one shines through. The diversity is another strong suit, often surprising the listener. Middling track “Picture Perfect” is elevated when halfway through the track, the beat picks up and Grey starts rapping. Don’t look now, but she might have done the impossible and turned in a better verse than Eminem on this project. The high points make the occasional blunders all the more confusing. A few of the slower songs simply suffer from being a less interesting counterpart to a similar song on the album. A song like “Straight Shooter” is simply unnecessary and dates back to the pandering on the last album, being really the only time her pop past comes back to haunt her. “In My Garden” is fraught with overproduction, distorted synths overpowering the track and drowning out the vocals for a quite uncharacteristically unpleasant listening experience. Skylar Grey’s overall artistic vision on this project makes for a much more fully fleshed-out work than her debut, and despite the brief inconsistencies, provides us with some stunning slower tracks for the colder months. Hopefully her friend and mentor Eminem’s album should be following suit in the near future and we will continue to hear more of this indie-influenced side of Grey in her contributions to the project.